G90 Turning Cycle is briefly explained in this cnc tutorial G90 Turning Cycle. 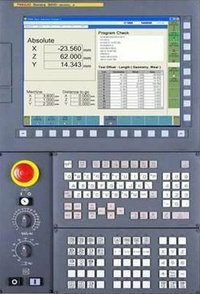 For an Example of Straight Turning with G90 Modal Turning Cycle read G90 Turning Cycle Fanuc – CNC Program Example Code. G90 turning cycle is used for simple turning however multiple passes are possible by specifying the X-axis location of additional passes. “Modal” G code meaning that they stay in effect until they are cancelled or replaced by a contradictory G code. Same way G90 is a modal G code it remains active until another motion command is given like G00, G01 etc. As in the cnc program example below G90 G code is cancelled with G30 G code. 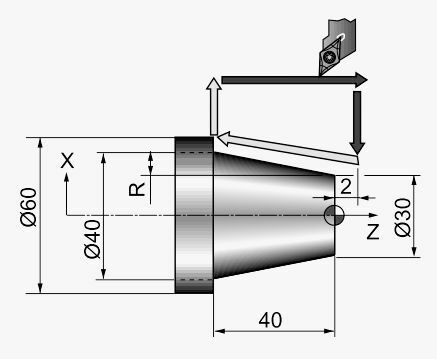 This cnc program shows usage of G90 taper turning. As you can see in the above cnc program example you yourself have to calculate the taper value. If possible you can use G71 turning cycle which makes every calculation for us. 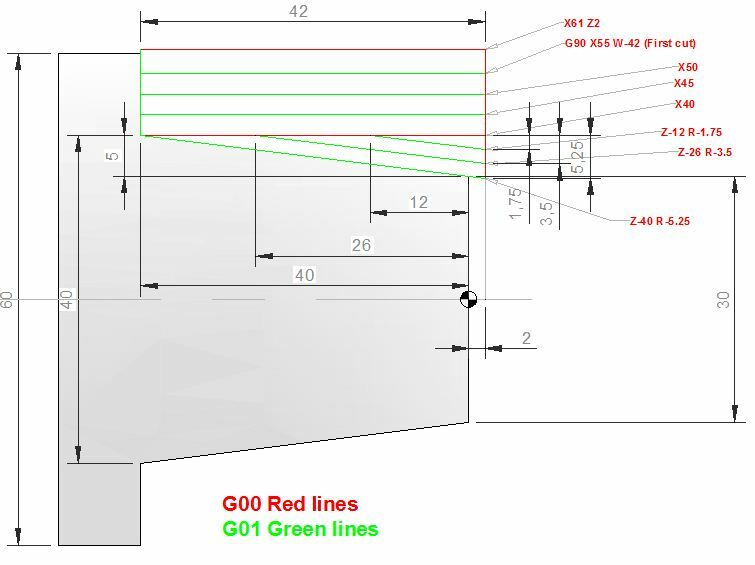 Another point is G90 turning cycle can only make straight and taper cuts, you can’t cut any arc (circular interpolation) with G90 turning cycle. Instead G71 cuts straight, taper, arc also.